We found a large unusual Orb Web Spider in our front yard. 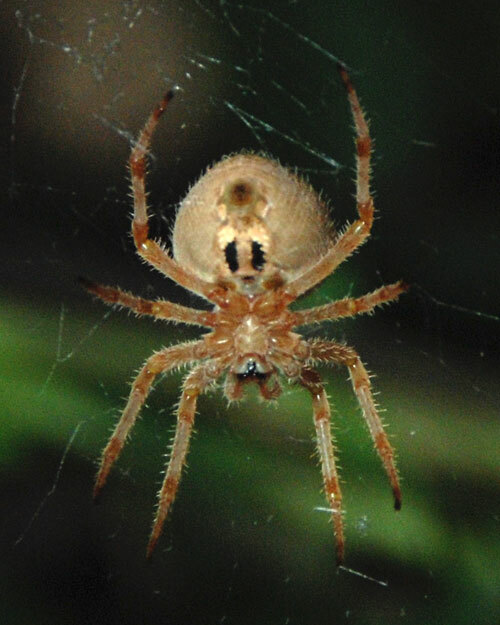 The closest we could get to identifying it is that it belongs to the Genus Araneus. Man, that’s a crazy looking spider! i’d probably freak out if I found that in my yard or apartment. I’ve been pretty scared of spiders since….forever. Sheez…creepy looking. Hummingbirds In Our Back Yard.